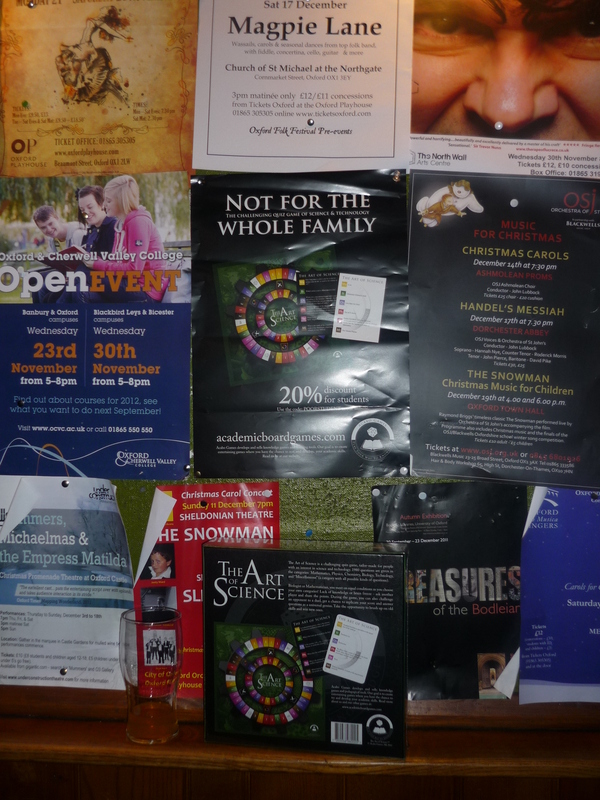 …this was the first we heard from a local that we showed The Art of Science for on the streets in Oxford. And that was the feeling throughout our stay. 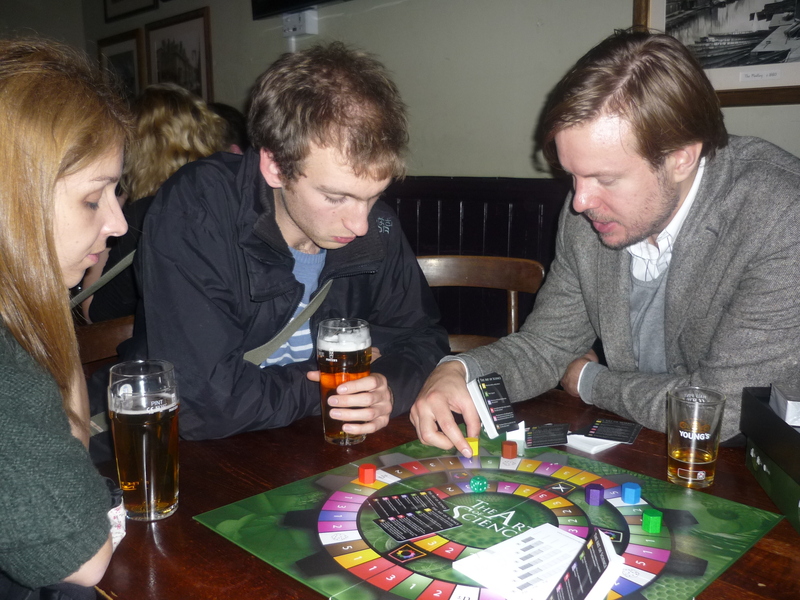 Challenging knowledge games is a mass market in this sterotype of academic cities. Basically all major bookstores want to sell our game including Blackwells, Hoyles and Waterstones. 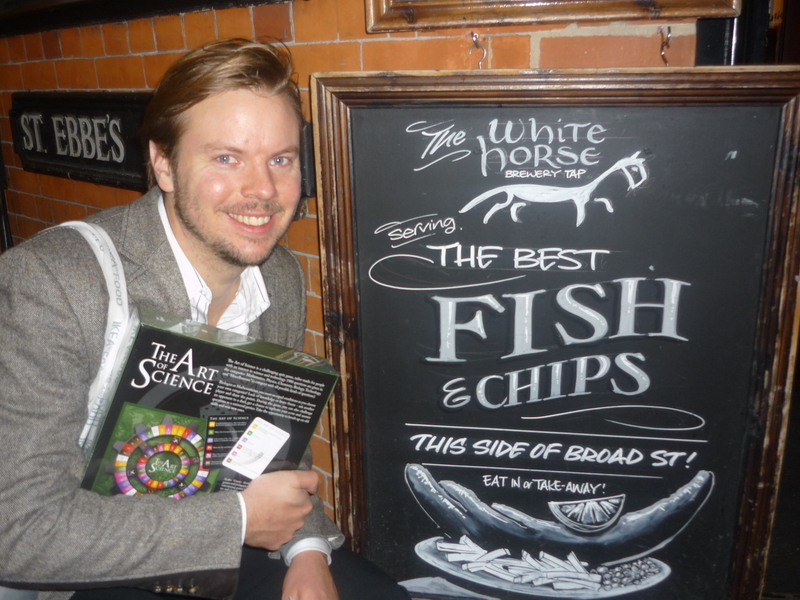 The Art of Science and its two promoters, one speaking with a Swedish and the other with a German accent, decided after a loong day to head for the Pub “The White Horse” first. After some excellent Fish & Chips a game was sponsored as the prize for this evening’s quiz. 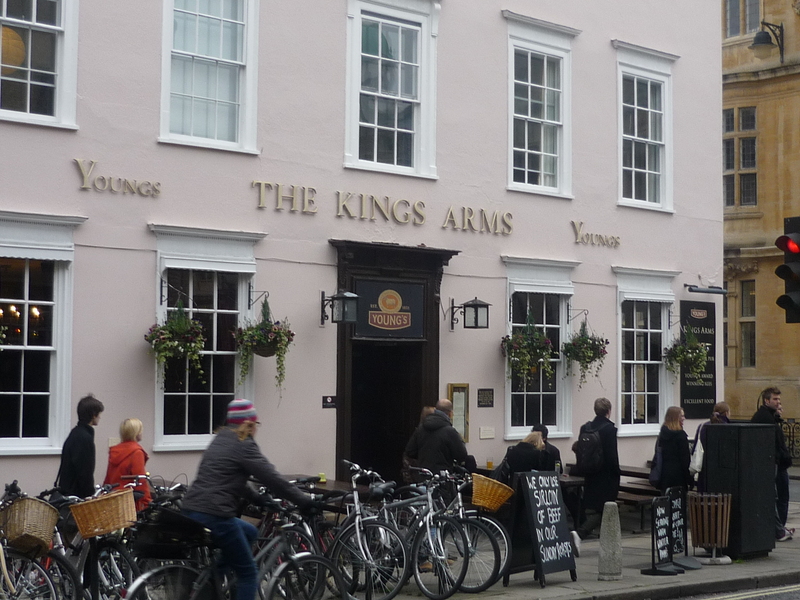 Another game was donated to the Pub and is now available for anyone interested in trying the game. 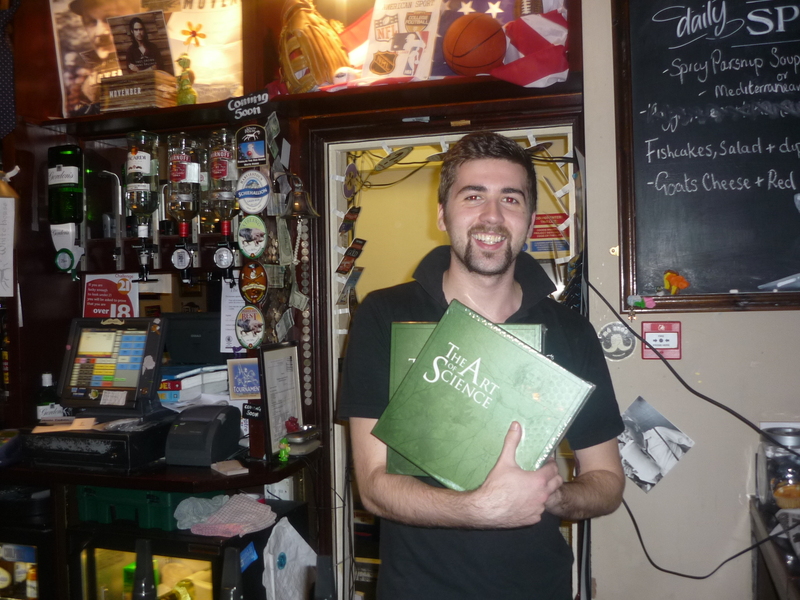 Next up is “Cape of good Hope”, were you can now win The Art of Science at their next pub quiz!